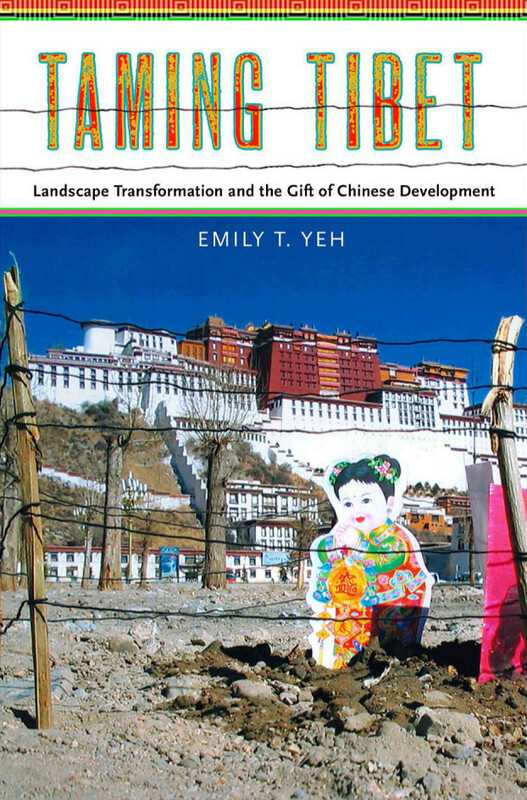 This book’s sub-title hints at Emily T. Yeh’s main point: Tibet is being transformed by the Chinese occupation, which Beijing maintains is an act of generosity, even a gift, while Tibetans experience the occupation as oppression. This gives rise to one of Ms. Yeh’s propositions drawn from the theorists she regularly invokes: “[T]here is no such thing as a free gift. Instead, the gift is always double-edged, containing elements of both present and poison, generosity and violence, sharing and debt.” Everyday experience tells us this is not usually so, but it is absolutely true for China and Tibet. This notion of Chinese uplift and Tibetan ingratitude is well known. It is present in most of the literature about Tibet under Beijing’s rule, whether from the Chinese or Tibetan standpoint, and shines out of every statement made by generations of Chinese leaders and by many angry Tibetans. China’s leaders want to be seen as long-suffering and understanding with Tibetans—even Mao showed this patience briefly during an ethnic Tibetan revolt in Sichuan in 1955—but then, like Mao, they bring down the strap when, the Tibetans, seen as recalcitrant children, persist in their uppity thanklessness. In 1988, when Hu Jintao, later China’s president, was Party Secretary in Tibet, he told me, in an unguarded conversation, how uncultured, indolent, and dangerous Tibetans were; because of this, he said, he kept his family safely in Beijing. In March 1989, he declared martial law in Lhasa. Ms. Yeh supplies many pages describing Han condemnations of indolent Tibetans and Tibetan admissions of what they themselves called idleness—hanging out, drinking, card playing, picnics, and singing—rather than working like Hans. These admissions, she shows, circulated “. . . throughout Lhasa. The rural and urban young and old, speak about how Tibetans don’t like to work, sit around in teahouses, bars and at home. . . . [I]n short, that they are lazy.” As for Tibetan laziness, Ms. Yeh points out that visitors in the early 20th century noticed that Tibetans worked hard in their barley fields, but also loved to hold picnics that lasted for days; Heinrich Harrer and Hugh Richardson saw this, she says—and so did I, although the picnics I saw were much shorter. Since the occupation, Tibetans have shunned “scientific” Han farming with chemicals because it kills living creatures and “spoils” the soil forever. If readers who are not members of the specialist cadre of social scientists who take seriously propositions and descriptions only when they are in a virtually private code, can ignore or puzzle out Ms. Yeh's professional lingo— “embodied understanding,” “spatiality,” “the production of space,” “metonym for development,” “different environmental imaginaries,” “sedimented histories”—there is a great deal to be learned from Taming Tibet. In her two final sentences, Ms. Yeh suggests something worrying and poignant, which occurs to all of us who write about China from outside the corset of the Communist Party. She is unsure “about the ways in which a book such as this will be received and with what consequences. In the face of these unknowns and of the tragedy of self-immolations, the only option is to maintain,” Ms. Yeh contends, recalling Antonio Gramsci, who wrote from his fascist-imposed detention, “. . . a pessimism of the intellect and an optimism of the will.” Or, perhaps, one of the most endearing Tibetan characteristics, an optimism of the spirit. Emily T. Yeh, Taming Tibet: Landscape Transformation and the Gift of Chinese Development, (New York: Cornell University Press, 2013), 233. Austrian mountaineer and the author of Seven Years in Tibet (1952). British diplomat and a scholar on Tibet. Jonathan Mirsky (梅兆赞) is a historian and journalist specializing in Chinese affairs. In 1990, he was named British International Reporter of the Year for his coverage of the 1989 Democracy Movement in China. Until 1998, he was the East Asia editor of The Times of London. Sophie Richardson reviews "The EU’s Human Rights Dialogue with China: Quiet Diplomacy and its Limits"
Jonathan Mirsky reviews "Debating China: The U.S.-China Relationship in Ten Conversations"